Who needs a car horn when you can just bark? When we learned that dogs were driving cars, we had to check our calendars to make sure that it wasn’t April Fool’s Day. In New Zealand, three dogs — yes, dogs — have been trained to operate a motor vehicle. The three dogs, Monty, Ginny, and Porter, have received training on how to steer, change gears, and brake at an indoor facility in Auckland. Who Taught Them How to Drive? The people responsible for teaching these dogs how to drive are a part of the Society for the Prevention of Cruelty to Animals (SPCA). The charity rescues and finds homes for dogs that have been abused or mistreated. Why Were they Taught How to Drive? 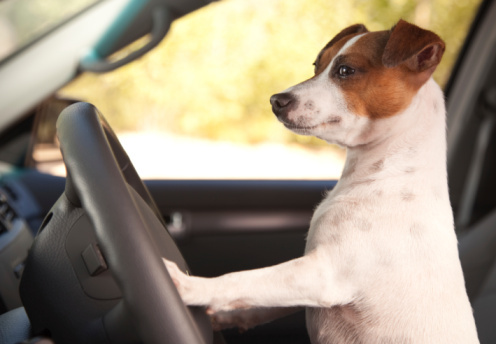 These courageous canines were taught to drive simply as proof of their intelligence. The SPCA in Auckland is responsible for rescuing dogs that are found in terrible situations, fixing them up, and helping them find new homes with loving families. Unfortunately for many of these dogs, people sometimes view shelter dogs as second best. At the SPCA in Auckland, these trainers wanted to prove that their dogs were capable of not only completing incredible feats, but that they are also worthy of a wonderful home. Additionally, the trainers at SPCA wanted to draw attention to their cause and possibly convince more people to adopt rescue dogs. Will We See Dogs on the Roads Soon? 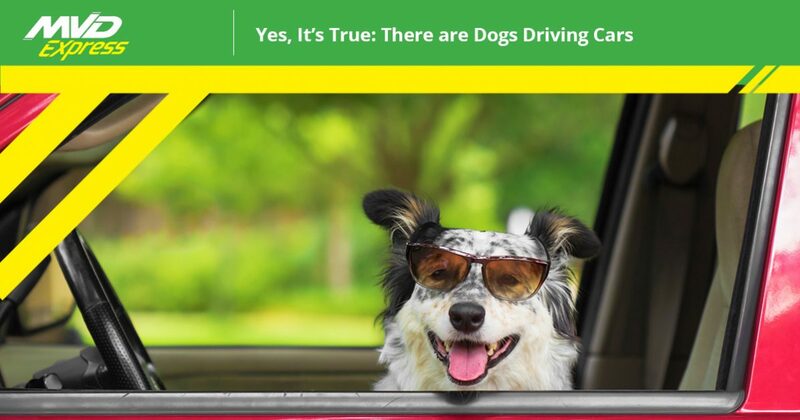 Don’t get too excited about seeing your favorite canines behind the wheel. Teaching these dogs to drive was simply a way to prove their intelligence and willingness to learn, and because of this, you most likely won’t see any dogs driving a car on a regular basis. Although the feat was amazing, the cars were heavily modified and we won’t be seeing any dogs coming in for their permit or driver’s license test anytime soon! Still, the fact that dogs were able to operate a vehicle with a few weeks of intensive training shows how intelligent they are and how quickly they can learn! While seeing dogs on the road may have been a special circumstance, you can always take the initiative and get your license instead! Completing your driver’s test and finally getting your driver’s license is easy when you visit MVD Express. Are you a new driver getting your license for the first time? Are you new to the state of New Mexico and you need to title your car and get new tags? At MVD Express, we provide you with all of the services that you would find at a traditional MVD, but we give you benefit of shorter wait times, friendly staff, and an overall better experience. We even give you the option to schedule your appointment in advance! Don’t let your dog show you up behind the wheel. Learn more about scheduling your driver’s test and stop by MVD Express to take your test and receive your driver’s license today! We boast more than 10 locations across New Mexico, so if you’re ready to get started, contact MVD Express at 505-226-9333 or fill out the form below.